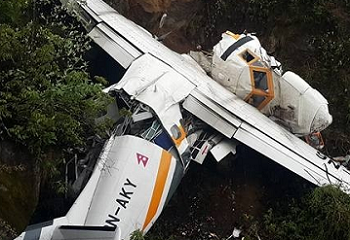 Two people died when the Let 410 aircraft smashed into trees immediately before landing at Lukla. The other crewmember survived with minor injuries. 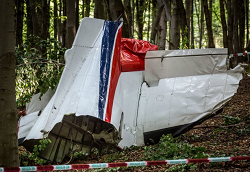 Both aircraft collided in mid-air during a joint parachuting lift operation from Dubnica Airfield. Seven people in both aircraft did not survive. On final approach to the twin engine aircraft lost hieght and impacted uneven terrain about 2 km short of the beggining of the runway.